So I’m not a Zionist. Neither am I an anti-Zionist. I suppose non-Zionist fits, though it seems a rather empty term. But none of these categories has any bearing on being pro-Israel. It is in that context that I both understand and have a strong visceral reaction to what has happened to the term “Zionist.” On one hand, it has become a pejorative, used by some on the left as a synonym for “racist” and worse. On the other, it has been completely co-opted by the far right supporters of the settlement program and apologists for the worst breaches of law and human rights that Israel commits. [Note: I am not talking here about the well-worn practice of dedicated anti-Semitic groups, such as white supremacist groups, and other extremists, religious and otherwise, to use “Zionist” as a substitute for the word “Jew.” That’s a serious issue as well, but it’s only propagandistically linked to the Palestinian issue and has been a constant since well before Israel was created. It’s a serious issue, just not the one I’m discussing here] Thus, the most racist aspects of Zionism have increasingly and distressingly become its face, which feeds the demonization of Zionism, which strengthens the racists, on and on in and endless cycle. Both those groups have one thing in common: whether they recognize and admit it or not, they are both working tirelessly for the destruction of Israel as it is understood by most mainstream Israelis, Jews and others who are sympathetic to the legitimate security and national expressions of the Jewish people. Whether by working to eliminate Israel as a home for the Jewish people (which, I hasten to add, is not necessarily the goal of all those who advocate a single state solution) or to destroy the very heart of the Zionist dream with constant belligerence, expansion of settlements and hubristic defiance of international norms and human rights, both of these groups are working toward Israel’s demise. The so-called “Zionist” settlers are having a lot more impact toward that goal, in fact. It is a mistake to equate “Zionism” and “pro-Israel”. The two terms are not interchangeable; in my case, I am comfortable and strongly identify with the latter label, but not the former. But I’ve also studied Zionism in all its forms for over a quarter century, in both academic and independent settings, and the distortion of the term in modern days annoys me endlessly. One cannot say, with a straight face, that Zionism is not an integral part of Israeli behavior toward the Palestinians. A “Zionism of land” is precisely the reason for the settlement enterprise and all its concomitant evils. It is a key ingredient (as is, to be sure, Palestinian nationalism in its own extreme form) in the program of “putting the Palestinians on a diet” in Gaza, as well as other excesses there. Zionism, like all nationalisms, is susceptible to falling into bigotry, especially when the national movement is victorious and assumes power. And make no mistake; Zionism is one of the most successful nationalist programs in history. This is particularly true if one subscribes to the view that Zionism, from the first aliyah in 1882 until 1948 (or perhaps a bit later) was essentially a movement to secure a state or, in some versions, a national home for the Jewish people. 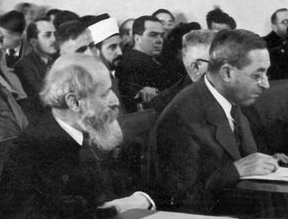 In this, it cannot be doubted that Zionism succeeded, and any serious study of its founding fathers cannot but conclude that it was far more successful in a much shorter period of time than they had ever dreamed it could be. One can look at what were, admittedly, always minority movements in Zionism, such as the cultural and humanistic Zionism of Ahad Ha’am or the bi-nationalism of Judah Magnes and Martin Buber. And, in those contexts, one must also acknowledge that the fact that those idealists found few if any partners among the Palestinians and other Arabs (at least who would so partner publicly) was one of the reasons their ideologies found little purchase among Jews. But those strains were there, and that’s not all. The larger movements within Zionism, primarily Labor and Revisionist, were also possessed of far higher ideals, each in their own way, in the past. Sure, Labor had a rather colonialist attitude toward the native Arab population, very much in line with typical European liberalism of the early 20th century. And one can make whatever judgments one wishes, with the benefit of hindsight, about the Labor leadership, most notably Chaim Weizmann and David ben-Gurion. But the main thrust of Labor Zionists, the people who made up the constituency, really did believe they could find a way to build a Jewish state and minimize the impact on the Arabs. For more on this, I strongly recommend Tom Segev’s One Palestine, Complete as well as his 1949:The First Israelis which explores how that Laborite provincialism even affected Middle Eastern Jewish immigrants to the fledgling state. The Revisionists, as I’ve often pointed out, were even more interesting. They were certainly more direct about taking the land from the Arabs, but they also envisioned sharing the land and, crucially, the government of that land with the Arabs, once the Jewish state was established. inherent tension between a Jewish state and a democratic one, a tension that was heightened exponentially by the occupation, holding millions of Palestinians under Israeli control without any guaranteed rights for going on 44 years now. A friend once asked me how I thought it was possible to have a Jewish state that was not inherently racist. Well, many people today who call themselves pro-Israel (but really aren’t) don’t believe such a thing is possible. And indeed, in their definition of “Jewish state” it isn’t. But, to indulge in a bit of wordsmithing again, perhaps if we think more in terms of a Jewish homeland, or, perhaps borrow the Balfour Declaration terminology of a Jewish national home, we might get somewhere. The Jews do, I firmly believe, need a place we can call our own. Not all Jews feel that need, but enough do to make it a necessity. We do need a place where we can express ourselves collectively as a nation. That does not require demographic controls, nor a set of laws that, whether de jure or de facto, favors Jews over non-Jews. What it requires is a constitution. An Israeli constitution that formally, fully and specifically guarantees equal rights to all its citizens while expressly identifying Israel as the homeland of the Jews can resolve this tension. This would not satisfy those on the right who have co-opted the term Zionist, but it actually does fulfill the Zionist dream of many of the movement’s founders. Such a constitution would, to be sure, only be realistic in an Israel that is no longer occupying millions of Palestinians, but rather is living side by side with them, and, crucially, enjoys an open border with them so that the remaining Palestinian citizens of Israel are not cut off from their extended families and the Palestinians of a nascent Palestine are still fully connected to their homelands, as are Israeli Jews who will always have a connection to various parts of the West Bank (most notably Hebron). Constitutional guarantees in both a new Israel and a newborn Palestine, probably backed by international guarantees and incentives for at least the early years of such an arrangement, could make this work. Ultimately, the struggles of both Jewish and Palestinian nationalism are about more than land; they’re about rights (human, political and civil), self-determination and national expression. And I do agree with the words of Lara Friedman of Americans for Peace Now, words I’ve heard her utter many times, most recently at the J Street conference: “The one-state solution is not a solution.” I believe each people needs a state of its own, at least for the foreseeable future. But given the realities on the ground—not just settlements, but the growing divergence of politics between Israel and the Palestinians, the divisions among the Palestinians, as well as the growing demand for democracy in all of the Arab world, not least in Palestine—we need to start revising how we think about that two-state solution. For Jews, and especially Israeli Jews, resolving the tension between the two parts of a “Jewish and democratic state” is the central component of that process. People of good intent have avoided that very tangled web until now. We can no longer afford to do so. We need to find a pro-Israelism that replaces outmoded Zionism and allows an ideology that many of us, so well typified by Sarah Strnad, can feel at home with. The bottom line: dear far lefties, your obsession with Zionism puts you in the same camp as the settlers.